Charles Darwin. 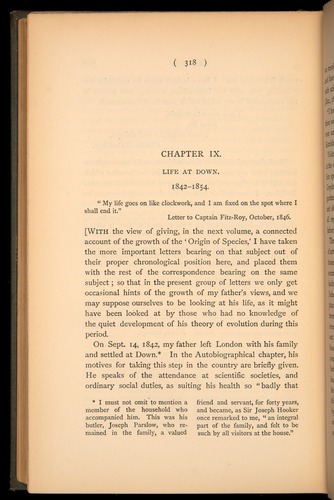 The life and letters of Charles Darwin, v1 (London, 1887) F1452.1, 3 vols. All images courtesy History of Science Collections, University of Oklahoma Libraries.